Sometimes you walk into a warm and inviting restaraunt for the first time and magic happens. You immediately know this is the place you have always been looking for. 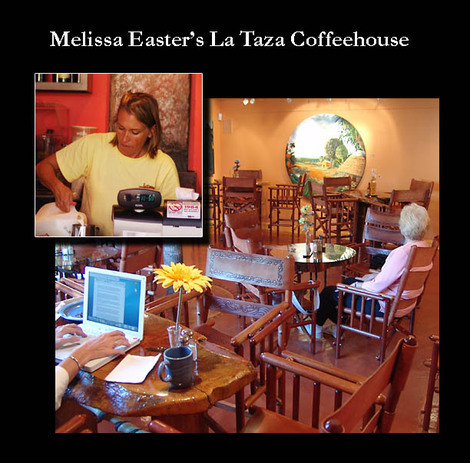 Melissa Easter’s La Taza Coffeehouse is one of those extraordinary places. They serve the best lattes I have ever tasted and they have WiFi. What more can I say? Other than the fact that the hospitality and the food are on a par with the coffee. Melissa has traveled extensively and has brought back marvelous food and design ideas from distant places. The food is Cuban and the coffees are from Costa Rica, Columbia, Panama, Guatamala and Mexico. The hospitality is genuine and the service is amazing, considering that the coffeehouse has only been open since August 3rd! early July. Melissa knows how to do things in style. She has a beautiful website, the coffeehouse ambiance is laid-back Latin American elegance and the overall effect is enchanting. She intended this to be the kind of place where friends congregate frequently to socialize and enjoy themselves, and has succeeded admirably. Gretchen and I had the opportunity to meet Melissa’s husband Jeff Easter while he was doing some work at the La Taza. 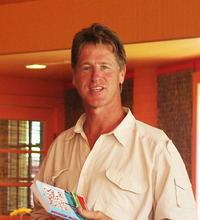 Jeff is a contractor who does high-end remodeling. He is a self-made man who has a great deal of insight on what it takes to assist others. He and Melissa exemplify the merits of self-employment in a time of increasing corporate instability. 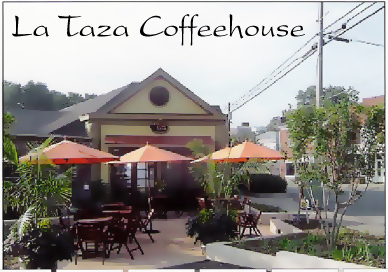 Jeff, Melissa, and Jeff’s brother Barry run several businesses in the vicinity of the La Taza Coffeehouse. All are worth checking out. Enjoy yourselves and remember to tell them that you read about La Taza in this blog. I have no connection with La Taza other than the fact that I really enjoy eating there and like the people involved. It looks like heaven. I love places like that too.